Marathon, Half Marathon, 8KM and Relay participants all receive a technical race shirt, medals and more! 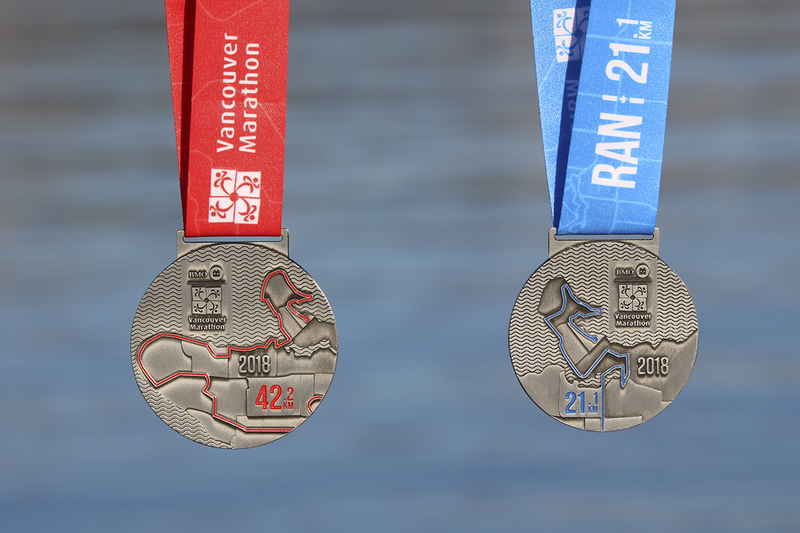 This year’s medal design features the race route on the front, and a tribute to the Westcoast on the back with mountains, forest and ocean. 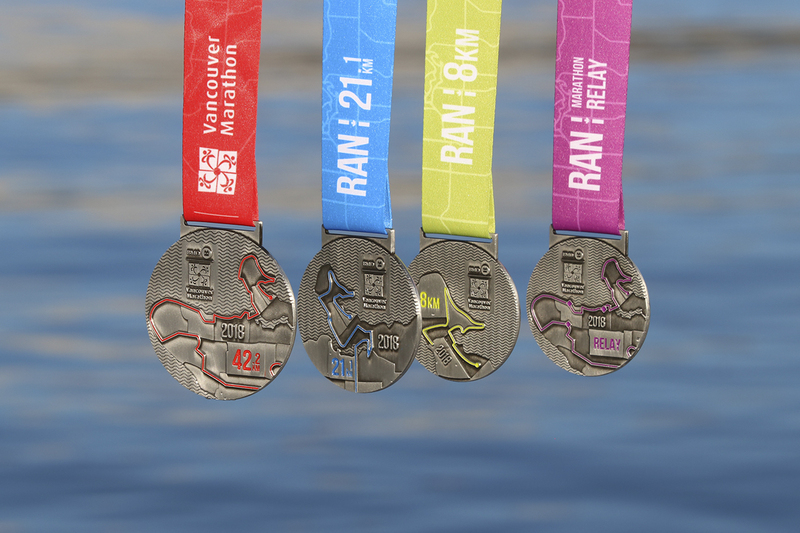 Each medal proudly displays the race map, distance and year, with a matching ribbon set. 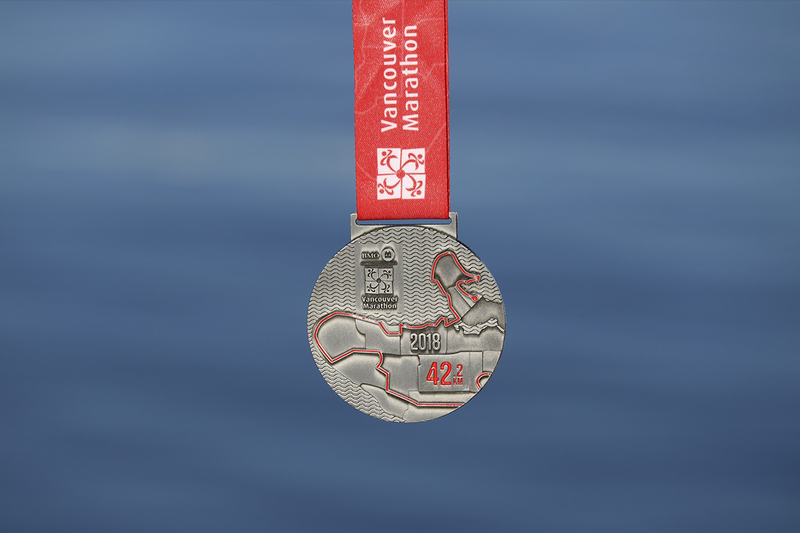 The ribbons also feature a faint outline of Vancouver. 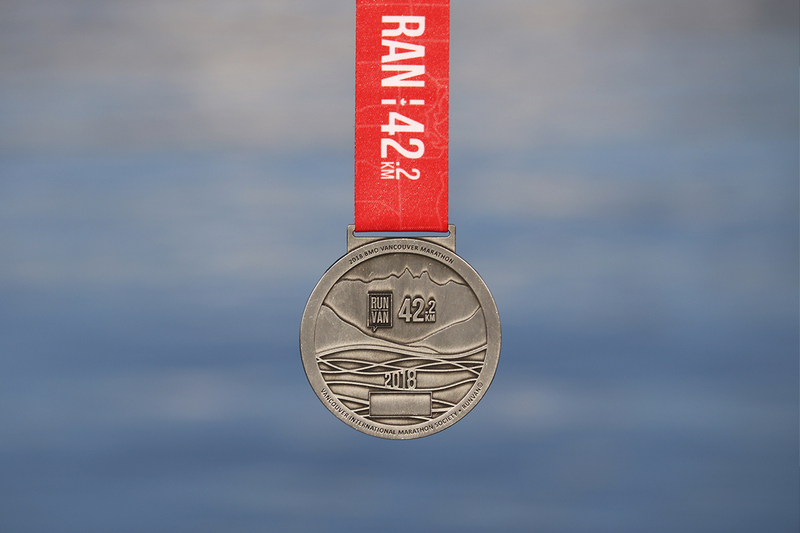 Ocean outline ripples are displayed on the front, and the medal has depth showcasing the elevation gains on the map, unique to your race distance.